Email signatures are repetitive messages, like disclaimer messages, business contact information,etc. that are added to the bottom of your emails. 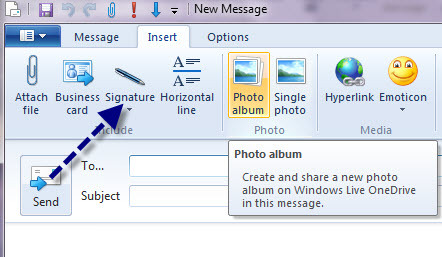 Windows Live Mail (WLM) lets you add simple text signatures or HTML signatures containing images, logos, links etc to your emails. 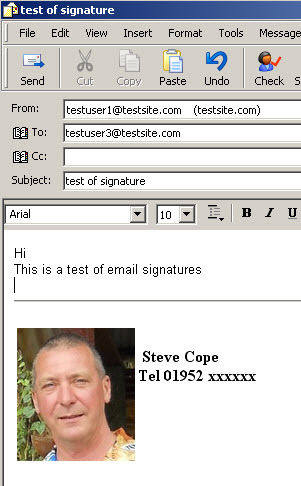 Email signatures can be added automatically to all of the messages that you send, or manually to individual messages. You can have more than one signature file but only one can be used at a time. 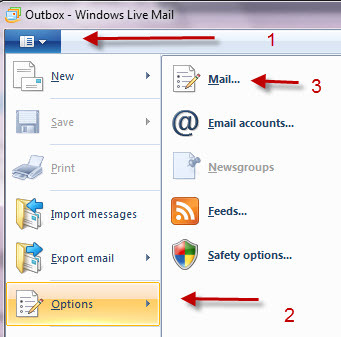 If you are familiar with outlook Express you should be very familiar with this screen. 3.Click New next to the Signature box. Text appears in the Signature box and “signature#1” is highlighted. Click rename and name it something more meaningful. Here I have renamed it to business signature. 5. 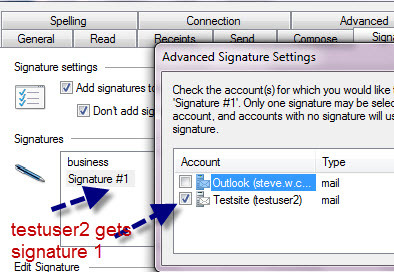 If you want to attach this signature to all outgoing messages then check the “add signature to outgoing all messages” check box. The don’t add to Replies and Forwards is enabled by default, and is recommended that you leave this setting as is. 7. 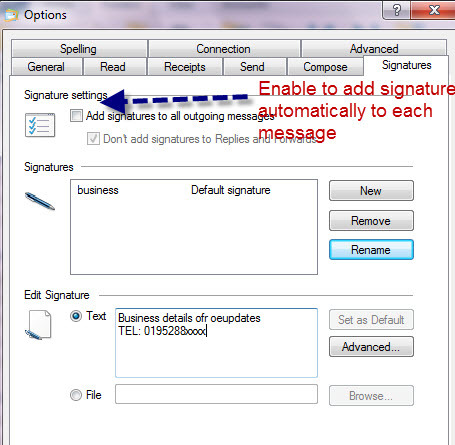 When you create a new message the signature will automatically be added to the message as shown below in screenshot 2. If you have a web page editor like FrontPage then you can use that to create the file. In this example we will code the HTML ourselves and create it using notepad. Can I use animated signatures?– Yes try using an animated gif but this is not very professional. Can I include a link to my website in my signature? – Yes if you use an HTML signature.